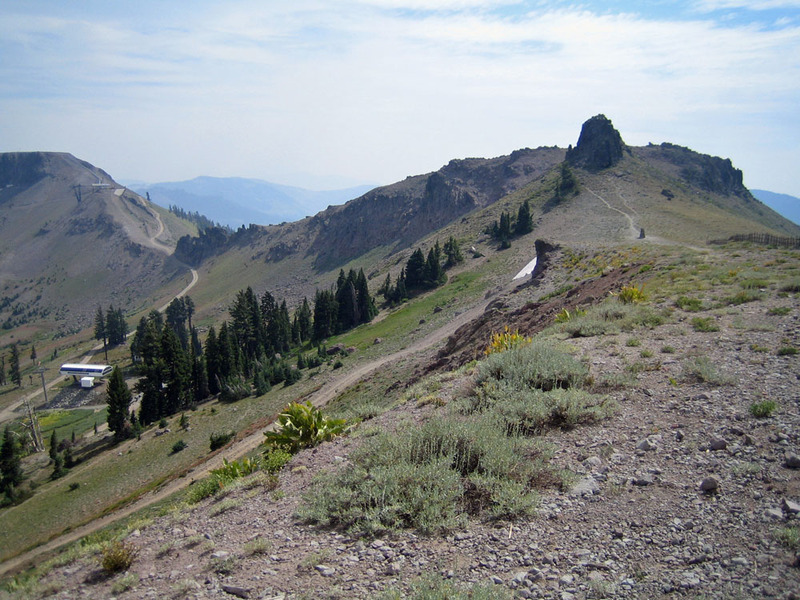 The backcountry access pilot program that permits passage from Alpine to Squaw in either direction is now open. From Squaw, the access gate is located 100 yards west of the KT Saddle. From Alpine, the access gate is North of Estelle Peak. There are no services provided between the two resorts. · Hiking is required with a substantial climb from either direction. · Carry avalanche gear when you cross. · Alpine Tour or Telemark equipment is highly recommended. · There is no cell phone coverage between resorts. · Go with a partner. · YOU ARE ON YOUR OWN- No rescue service between gates. The crossing goes through U.S. Forest Service land and Troy Caldwell’s private land. Caldwell owns the property that separates Squaw from Alpine. The link can be closed at any time and access to the gates are subject to other mountain closures. It looks like the distance between gates is just over 1 mile.